Using a similar sonic palette to their polygenesis rich Slept And Did Not Sleep EP from back in 2012, the Liverpool group, who convincingly fused polyrhythmic indie with art house pop on that record, once again amorphously drift through a myriad of inspired ideas on their latest, Radiant Hex. The first release since the departure of their former singer/guitarist Ed Black, Ninetails have become a slicker unit, the production taking on some contemporary R&B production values along the way. 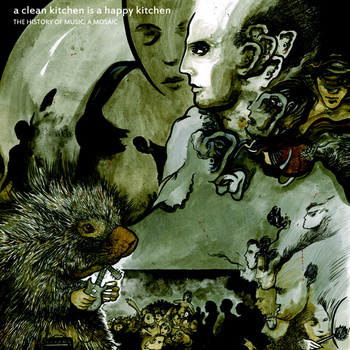 Releasing all those built-up and pent-up ideas into the ether, the same aimless spirit – used here in a complimentary manner, not as a criticism – of those same heady days still prevails, with another placable soundtrack that encompasses elements of progressive rock, musique concrete, jazz and ambient music. Allowed to find a natural course, with no particular sound or motif dominating; the extended EP’s immersive contours and textures swim between suggestions, hints and narratives. Echoes of far eastern and African cooed harmonic voices blow in on a slipstream of reversed guitar, succinct vibraphone, consoling Miles Davis trumpet (I’m thinking his 80s era soundtrack work) and fluid synthesised backing. 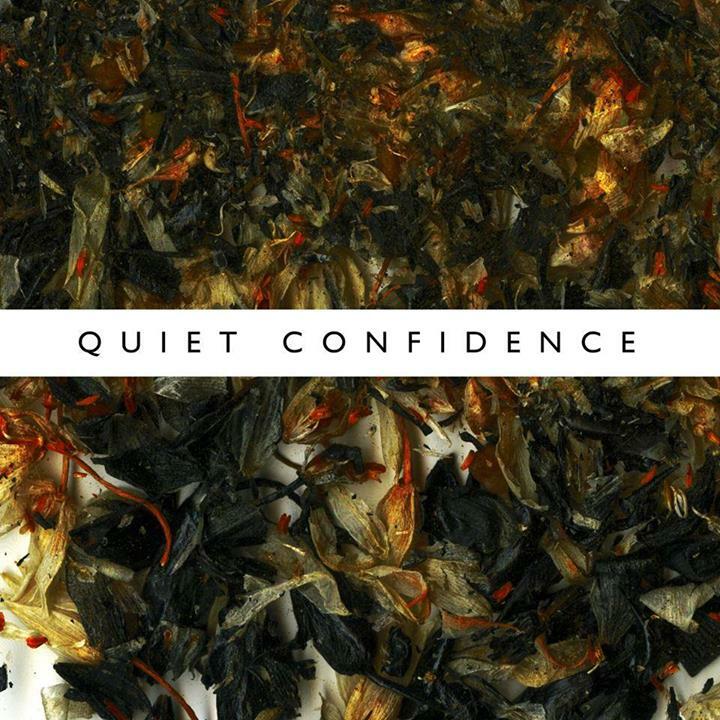 Expansive, even palatial, throughout, the EP is devoid of any anthem climaxes, relying instead on the subtle serialism fluctuations and dreamy, melting soundscape to rouse and probe emotion. Hardly surprising that the band have found a home on Keith Aspden’s Pond Life label, home to, perhaps, Ninetail’s most redolent influence, Talk Talk (some of their most imaginative back catalogue of opuses, including both Spirit Of Eden and Laughing Stock are licensed to the label). Throw in some Dirty Projectors, a bit of These New Puritans and some less hostile Mogwai too, and you have a startling impressive array of sounds and colours: a hell of a lot more impressive and aspirational than the likes of Alt-J, that’s for sure. Inspired by Terence Malick’s Tree Of Life and composer Gabriel Fauré’s afflatus ‘Requiem’, the band has absorbed a wealth of lofty aspirations both lyrically (I’m sure I heard some quoted Latin in there) and musically. With titles and Apollonian themes that wouldn’t seem out of place on a David Axlerod produced Electric Prunes litany. The Hex is an undefined balance of the spiritual and ecclesiastical, which aims to incite some kind of veiled epiphany in the listener: a group that at least dares to reach out beyond the usual, empty, indie vista to acquire a greater knowledge. Attentively ducking any conclusive finale and unflinching in its awkward rhythm, melodic changes, the Hex is still a diaphanous, mostly gentle suite. It will gradually unfold its many layers and charms, so give it time. Even for a label that prides itself in releasing some of the most left of field records, the Jezus Factory excel themselves this time around with their latest twisted avant-metal-industrial-post-punk offering from A Clean Kitchen Is A Happy Kitchen. Unearthing psychedelic and electric kool-aid drunken malcontents from the underground Antwerp scene, the JF label goes beyond the Monsterism Island of Angels Die Hard (reviewed a couple of weeks back) and sweetened progressive folk of The Strumpets to beat the listener into submission with an anvil bashing, mangled maelstrom. Formed by a rabble of Belgians, Danes and Scots, the group features Craig Ward (previous roles in The Love Substitutes, True Bypass, iH8 Camera and most famously, dEUS, and a production credit on The Frames ‘For The Birds’ with Steve Albini), a bloke – or typo on the part of the PR – called Butsenzeller (DAAU, Kapitein Winokio, Dóttir Slonza) and Paul Lamont (Hitch). They produce hardliner, gnarled, even painful, experimental rock. Influenced by a wealth of awkward, far out and noisy doyens, from Beefheart to King Crimson (notably their later Red period), the trio embarks on an unnerving meander through a series of eerie empty industrial spaces and damp cellars (suggested by the dank, spooky atmosphere created on the album’s finale, ‘Bedbugs’). 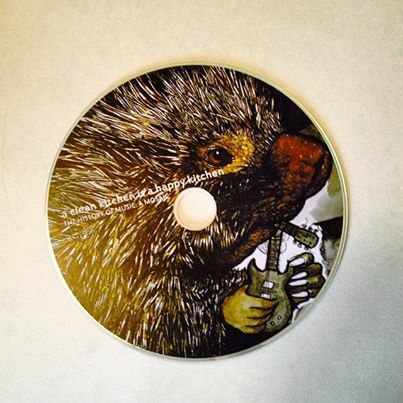 Essentially shaped and informed by growling, grizzled wailing guitar riffs and sustained lingering notes, and galloping jazz fusion drums, the album is often lumbering towards the edge but never quite threatening or serious (‘My Sinister Trousers’ as its names suggests, is a lark; a shapeless dEUS inspired mess of squealing rodents and whining). What begins as a surreal esoteric, séance induced introduction to some old Scottish dear, either talking in tongues or acting as a vessel to the Venusians, grows into a proper space rock anthem. Launching off into a more stratospheric direction, ‘Floyd Is Warped’ (apparently!) could be the Stone Roses jamming with the Throbbing Gristle, and is the most rhythmic, melodic track on the whole album. The rest is…well, what you might call difficult. There are plenty of incantations and demonic muffled vocals, twisted through a megaphone effect, and plenty of strangulated horn sounds abstract noodling and repetitive incessant prods. Sulky with a wry sense of its own miasma laden silliness, The History of Music: A Mosaic scratches out a fine line between the unnerving and heavy mental; transducing progressive jazz to their own bewildered ends – that’s a compliment by the way. New musical highlights in brief. 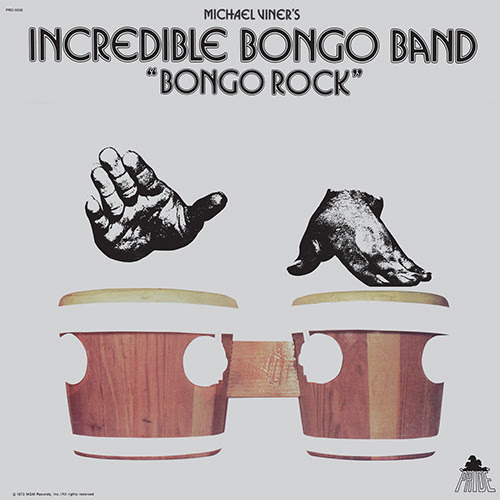 Arguably – actually it’s a fact – the most sampled percussive and funk-licked album of all time in the Hip Hop community, the treasured Incredible Bongo Band’s 1973 Bongo Rock album has been re-released for the first time in over forty years. Packaged to look as fresh and clean as the day it was first coveted, the 180g heavyweight vinyl edition is housed in a spanky top-quality Japanese sleeve by MR Bongo. Every beat, break and bingo bongo rolling workout has been meticulously broken down into macro-parts by every decent and half-decent DJ since the 70s so that it sounds so familiar it seems ridiculous that this will be its first proper reissue outing. 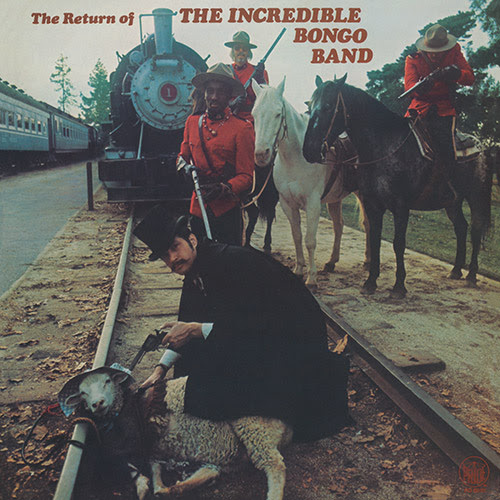 If that wasn’t enough excitement, they’re also celebrating the 40th anniversary of the follow-up to that progenitor, The Return Of The Incredible Bongo Band (I defy anyone to equal the surrealistic lunacy of the cover).